Right from the start there’s one thing you can be sure of – all the successful people you will ever meet are highly resourceful when it comes to problem solving and they definitely have a thing or two you can learn from them. The more you get comfortable dealing with problems the more guaranteed your success is. This book will show you how. Order PRINT / KINDLE on Amazon. 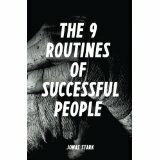 In this book, Jonas Stark lays out some of the routines and principles that successful people tend to follow. Sometimes, even people who are successful aren’t able to outline exactly how they got there, but with a sharp and insightful analytical eye, Stark outlines those specifics with aplomb. As it turns out, implementing the routines of success – the things that make success a habit, not a rarity – is not as difficult as you may think. 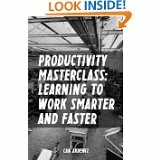 Everybody wants to work less and get more done. 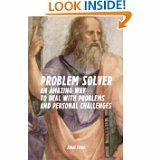 This book will help you do just that. Increasing your productivity will actually make you a happier person because you’ll have more time to enjoy your life and to do the things you want to do.